In a fast moving world, how can we build fast moving and agile universities? How can we better align universities with the contemporary needs of students and other stakeholders? How can we build a holistic, human-centered strategic innovation model for universities? In a fast moving world, how can we build fast moving and agile universities? 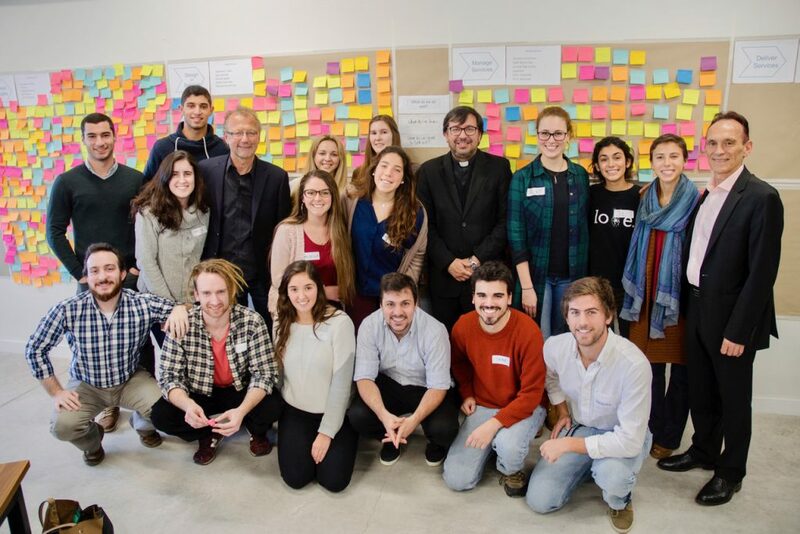 IntoActions has recently worked with the Universidad Católica del Uruguay (UCU) in South America. We have been helping them to align their strategic goals with Human-Centered Design (HCD) and build organizational innovation capacity. What do universities want to achieve for their students and stakeholders in a socially and technologically fast moving world? 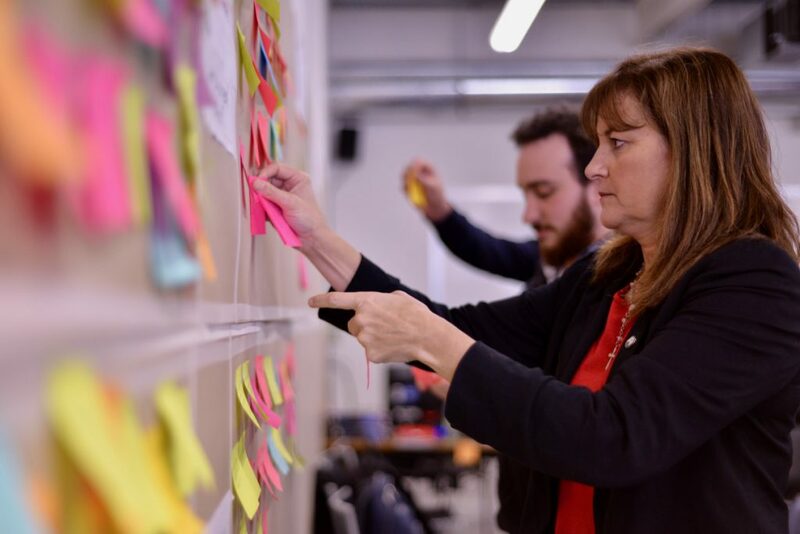 IntoActions conducted a series of participative workshops with UCU that included senior academics, students, members of the executive team, senior management, and administrative staff. There were numerous advantages to using our participative approach. We had 80 “end-to-end” representatives from across the university in the same room. Cross-functional participation with students meant that we could create a strategic transformational framework for UCU in less than 4 weeks. IntoActions’ group processes allowed the mapping and alignment of over 4,000 ideas and comments in a strategic framework during the workshops. Our holistic strategy model can also be used, in more detail, for aligning organizational structure, technology architecture, asset and cost distribution. How can we better align universities with the needs of students and other stakeholders? The outputs for the workshops included: Introducing a holistic HCD strategy model; training all participants in how to use the model; aligning HCD and strategy with people, process and technology; clarifying and agreeing key areas for strategic transformation; conducting a two-week human-centered deep dive into the top 8 strategic issues, and then building prototype solutions; and introducing a basic framework for HCD project implementation. Our participative HCD approach allowed UCU to map information, create a strategic framework and strategic agreement, and develop strategic prototype solutions that traditionally takes elapsed time of 3 to 6 months. How can we build a holistic, human-centered strategic innovation model for universities? 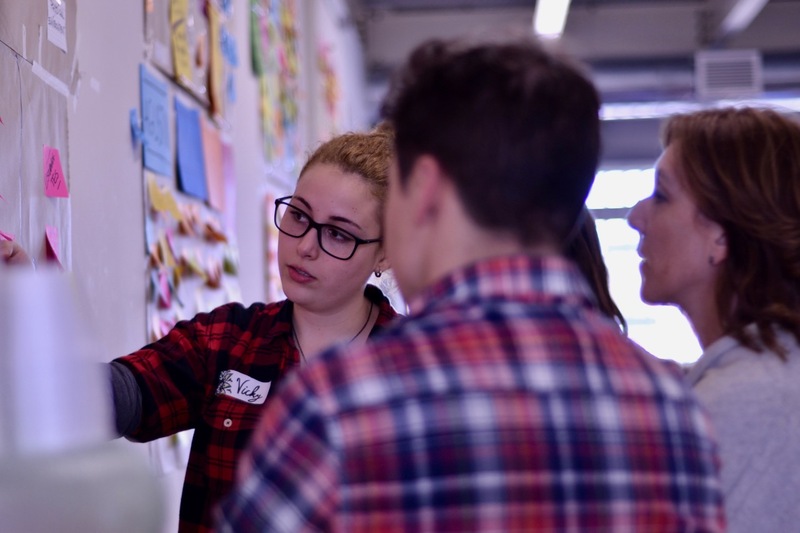 We look forward to UCU’s next steps and following their strategic Human-Centered Design path. We greatly appreciate the work and innovation of Fr. Dr. Julio Fernández Techera, SI, UCU’s Rector, his senior colleagues and participating students.